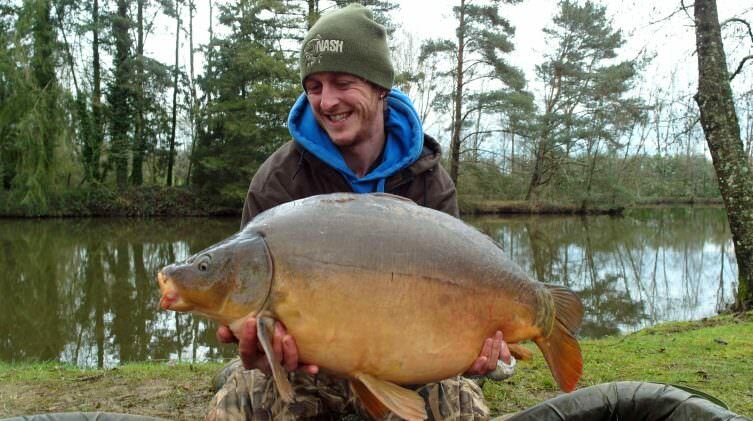 This week Mick and his mates experience the magic that is Beausoleil as they go home with 6 new PB’s between them! Any angler that tells you the size of the fish he catches doesn’t matter is a liar, and not a very good one at that! It’s not the be all and end all of fishing and if it is for you then I’d suggest it’s time to hang up your rods. 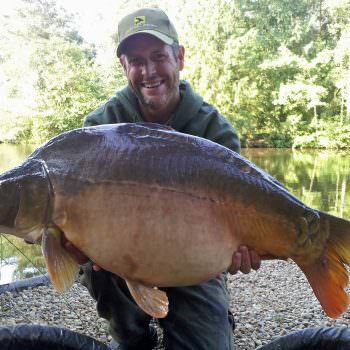 Of course size matters and most anglers go carp fishing in France to up their PB. Not all manage it, but those that do go home with smiles as wide as Cheshire cats! For those of you that haven’t been you could be forgiven for thinking that catching a new PB in France is easy. Trust me it’s not, but it is possible, and that’s the difference. For example, catching a 30lb carp in the UK is hard. Why, because even getting access to a lake that contains them is difficult. Syndicate tickets that contain 30’s are very tough to get and if you don’t know the right people then the job becomes even harder. Day ticket lakes that contain 30’s are rare and even when you find one of those you’re going to battling with the world and his dog just to get a line in the water! At Beausoleil we now have 32 named big carp over the 30lb mark and another dozen or so unnamed ones. In amongst those are three of four 40’s with the jewel in the crown that I caught this March at 48lbs 4 oz which is my new PB! 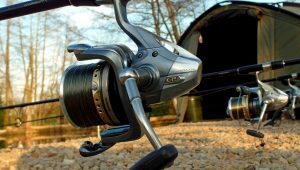 With stock of this quality and quantity, anyone that comes to fish here with a half decent approach has good chance of a 30lb carp or better. This March, myself and two mates had 13 carp. The average weight was 32lbs 8 oz and the smallest carp weighed 26lbs 12oz! This week, the only known double figure common hit 20lbs! As well as the big carp we have four Sturgeons which are a new species for many anglers and offer yet another chance of a new PB. 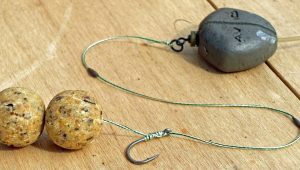 Some anglers hate them, though there is no basis for this whatsoever. The go like absolute trains and give 100% in the fight. They leap, they tail walk and are well behaved on the mat. What’s not to like! And then there are the catfish, monster catfish! Now if you’ve been to spain and fished the Ebro then 100lb catfish are two a penny but when you’ve got cats approaching the 100lb mark in a 4 acre lake with an island….. now that’s exciting angling! In total there are 40 cats from 35lbs upwards. This week the lads had 30’s 50’s and 60’s but even the largest at 68lb is not large by our standards. 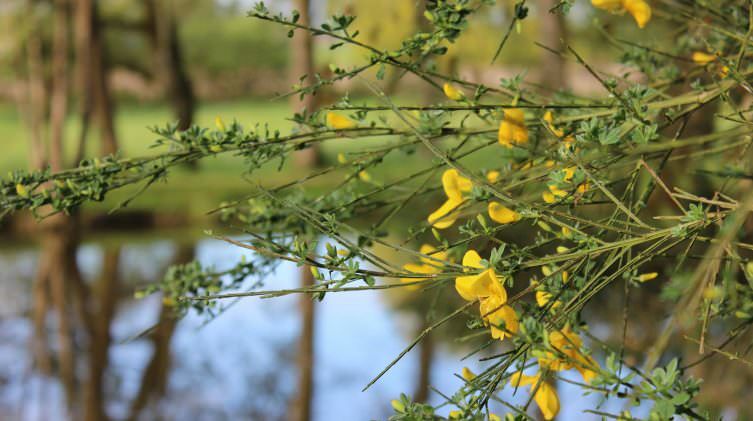 This is what makes fishing at Beausoleil an experience to remember for a very long time. For 50% of our clients they only have to wait a year as they want to come back for more! This week’s group were no exception and re-booked before they left! If you are thinking about coming, please don’t assume that just because of the quantity and quality of the fish that Beausoleil is an easy water. It’s not. 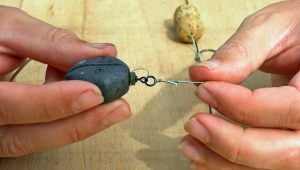 It’s not hard either, but you may have to adapt your approach to trick a few fish. 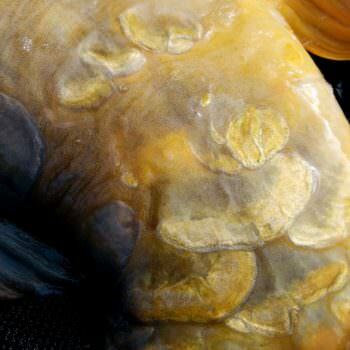 The carp love to eat as much as they hate to caught. If your rigs and hook points aren’t up to snuff then they will do you all week long. 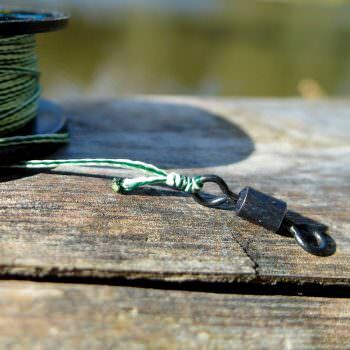 Tight lines across the swims are a no as they will simply avoid the area altogether and if a catfish or sturgeon swim through then you are going to get the biggest liner ever! The cats love to eat too and I’d think nothing of spreading 10-12kg of boilies and pellet over a bivvy sized patch for one rod for one night! The cats aren’t exactly riggy, they know that should they get it wrong they can smash inferior knots, line, and tackle with ease! The rules state 15lb mainline minimum but in reality, choosing line breaking strains is wrong anyway. It’s all about the diameter and 0.40mm is the minimum that I would ever consider using and 0.45mm is not too thick! It is not uncommon (quite regular in fact) to have your mainline fail. The guys experienced this this week and despite the fact that the line was of a good standard, failure to walk out the lines and check for nicks and cuts cost them a few fish. These things happen. I look on it philosophically, I can only guide and advise but and the end of the day I leave the clients to fish the lake as they see fit. Sometimes the only way to learn is the hard way! It’s not adequate for the job and I was able to break (undo) both the hooklink and the mainline to swivel knot with my bare hands just by pulling! Personally I never use the Palomar, but I do use the 5 turn double grinner for connecting anything to the swivel. 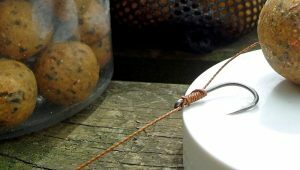 There is nothing wrong strength wise with the Palomar and it’s easy to tie but it’s no good for connecting the mainline to the swivel when you’ve already connected the rig as you have to pass the rig through the loop which is just too fidly. It was a real pleasure to meet this week’s group. They’re a great bunch of guys and they had an absolute ball. For two of them it was to be their first ever trip to France and with multiple PB’s, they head for home very happy and with some new skills under their belt. Now what could be better than that? Enjoy your fishing no matter where you do it.